Going from CLI to API? 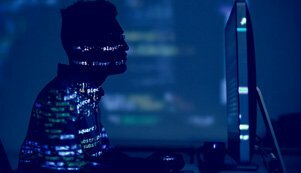 China Telecom's cloud-enabled, global SD-WAN architecture fully-integrates with existing network infrastructure for a seamless hybrid WAN solution. Here, we break down the benefits and challenges one might have when trying to enter the China internet market. 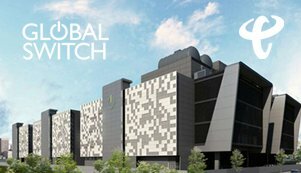 China Telecom has partnered with Global Switch to launch the Tseung Kwong-O Tier-IV data center in Hong Kong. With a Tier 1 global network, China Telecom has the resources to rapidly deploy and scale IT projects in 110 countries around the world. Since 2001, China Telecom Americas has sought to bring people, businesses and continents closer together through technology. With significant investments in local talent and infrastructure around the world, China Telecom has helped thousands of companies grow their business through our relentless commitment to excellence and customer service in all our endeavors. See why customers choose China Telecom Americas to keep them at the forefront of the digital era in China and beyond. - Michael Mierwinski, CIO, Mid-America Overseas, Inc.
Of all the carriers serving Asia, China Telecom Americas’ responsiveness is impressive and installations were quicker for customers than with other carriers. Installations have been smooth and the customers have been impressed. China Telecom Americas consistently delivers for SD-WAN Experts. After a timely implementation, we now have a high quality IP connection between Hanghzhou to our North American operations backed by a Service Level Agreement unmatched within the industry. We have received excellent and professional support from the China Telecom Americas’ team. China Telecom Americas is the largest foreign subsidiary of China Telecom Corporation advancing transpacific enterprise connectivity by serving customers with an end-to-end suite of locally-based, custom-designed communications solutions deployed over our leading Tier-1 network infrastructure connecting the Americas with China and over 110 countries and markets worldwide. Our tier 1 global network infrastructure consists of ownership in 50 international terrestrial and subsea cable routes, 75+ PoPs worldwide and 400+ data centers across mainland China. With ownership of over 70% of all Chinese Internet Resources, we are the leading global carrier delivering content to Chinese internet subscribers. With 4G service commencing in 2015, we have been rapidly upgrading and growing our mobile subscriber base in China.